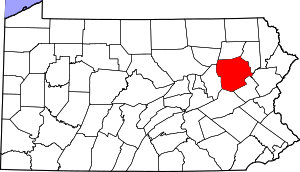 WILKES-BARRE, PA — Heroin is affecting the region at epidemic levels and the problem is only expected to get worse, law enforcement officials told the Pennsylvania Economy League at a meeting Friday afternoon. The drug is selling on the cheap, and addicts — many of whom got started by legitimately using prescription painkillers — are bringing a plague of crime to the area, West Hazleton Police Chief Brian Buglio said. Almost all robberies, thefts and assaults in the Hazleton area have a drug or gang nexus, he said. “Heroin is terrifying, and it’s only going to get worse, unfortunately,” Buglio said during the meeting at Best Western Genetti Hotel and Conference Center. WEST HAZLETON, PA — One man was shot and another assaulted early Monday morning at a home on East Broad Street. Borough police were dispatched to the 200 block of East Broad Street for multiple reports of shots fired just before 12:30 a.m. and found Joshua L. Crutch, 20, of West Hazleton, on the second floor of 227 E. Broad St. with a gunshot wound to his leg. Police also found Leshawn Williams, 21, of West Hazleton, in the residence. Williams had suffered lacerations and contusions to his face, police said. Crutch was transported to Geisinger Wyoming Valley Medical Center in Plains Township for treatment of non-life-threatening injuries. Williams was taken to Hazleton General Hospital for evaluation and was treated and released, according to police Chief Brian Buglio. West Hazleton Mayor Frank Schmidt said the kind gesture came after a complaint Friday morning. Then the topic of police was mentioned, and the donor asked how the department was getting along. Schmidt said council members will discuss during their next meeting whether to buy or lease a new cruiser, because the borough needs one.